TrackingTheWorld is accepting applications via their website for those interested in becoming a distributor of GPS tracking devices and accessories. 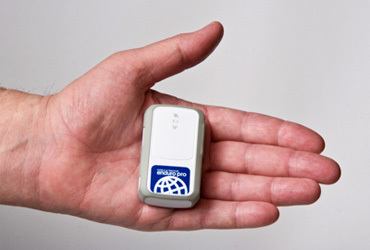 BURLINGAME, Calif. - Jan. 24, 2014 - PRLog -- Burlingame, CA—TrackingTheWorld, exclusively specializing in GPS tracking for more than 10-years, is now accepting applications for distributors of the firm’s GPS tracking products and accessories for 2014. “Our distributor program offers an excellent opportunity for those interested in launching their own GPS tracking businesses in the coming year,” said Gilbert Walz, CEO of TrackingTheWorld. TrackingTheWorld offers professional grade GPS trackers used for a broad range of applications, including law enforcement use, tracking vehicles, personal safety, and monitoring shipments. TrackingTheWorld GPS trackers can be used with most GPS tracking software programs, including TrackingTheWorld’s own software which offers geo-fencing, customized mapping support, and JPG and Shape file support. TrackingTheWorld’s recently launched two new GPS trackers, including the MT-100 GPS tracker for motorcycles, and the WT-OBD GPS tracking device which plugs into the OBD port of any vehicle for a fast and convenient GPS tracking option. TrackingTheWorld is a leading developer of GPS technology and GPS tracking software for business and personal use. For more information on GPS tracking devices, distributorship opportunities, or the firm’s white label GPS tracking software, please visit www.trackingtheworld.com, email sales@trackingtheworld.com, or call 650-692-8100.